The single most effective way to not get infected is to isolate yourself from any other person. Sure, humans are social beings, but with the wonders of the computer age, isolation doesn't have to be as lonely as it once was. Naturally, parties and get togethers will be right out, but you can use Skype to see the people you're talking to. Supermarkets offer home delivery as do many restaurants, so you don't need to go out for your food and risk exposure. Just use caution when answering the door. Want to catch a movie? There's Netflix, cable television and sundry other means of amusing yourself visually. Granted, unless you have a home theatre, you're going to have to be satisfied with whatever size screen and speakers you have on hand. The hardest part will probably be dealing with your children. Thankfully, it's summer break, so you won't need to worry about homeschooling your kids, but they're probably going to want to hang out with their friends. Stay firm. Remember, you're the adult here, and you know what's best for your special little snowflake. Isolation may not be easy, but if you can stay away from all other people until at least 21 days after the last case of measles in your area, you'll cut down your risk of catching the disease greatly. Keep the isolation up until the virus is eliminated worldwide (hope you saved up those vacation days from work! ), and you'll guarantee your and your family's health, if not sanity. But isolation isn't for everyone. Luckily, there's another option. If isolation isn't for you, or your children keep complaining about how bored they are and how unfair you're being making them stay home, there's always the bubble-boy approach. Now, hazmat suits may be a bit bulky and hard to move in, but that's a small price to pay for your health. They may not be the most fashionable outfits around, but if you live in an area with high rates of vaccine refusal, chances are good that some of your friends will also be sporting the latest trends in self-contained environment suits. Just suit up, tape your seams and flip the switch for your personal respirator. You may have some difficulty holding conversations as you shout over the sound of the air pumping through the suit, but at least you'll be safe. How long you spend out and about depends on the pump you choose, but you should have plenty of time for whatever your plans. Just keep an eye out for sharp corners, and stay away from anything that can cut or pierce the suit. 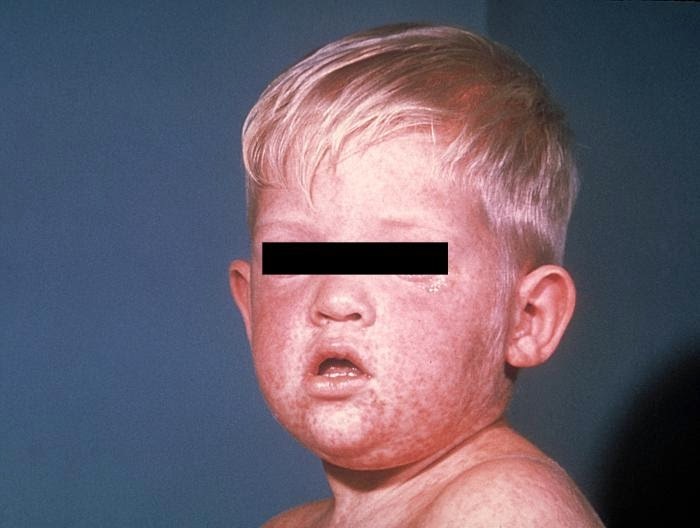 Sometime in the future, vaccinations will likely eliminate measles from the wild. All you need to do is set the dial for a handful of decades into the future. Okay, so this one's a bit tricky. 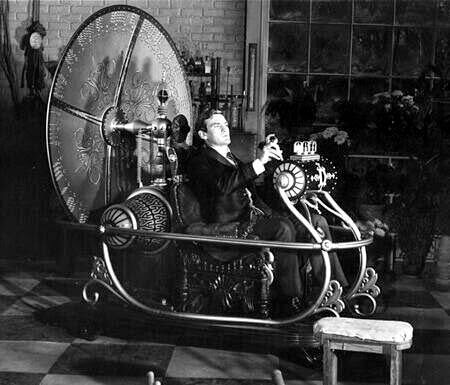 Time travel isn't possible...yet. However, if you can overcome just a few basic, fundamental laws of physics, this could be a viable option for you. 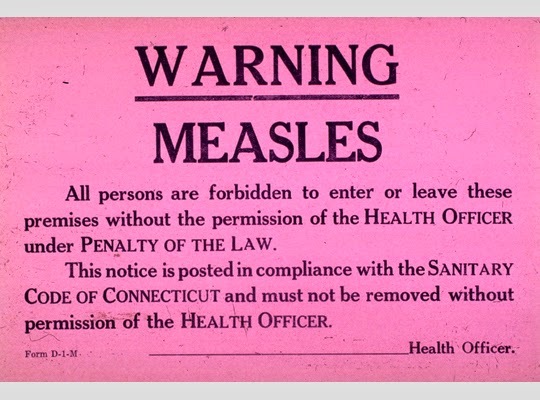 With no more measles around, you'll be able to go out and about as much as you like. Instead of sitting at home eating dinner while watching the last year's hit movies on your laptop, you can actually eat in a restaurant and catch a new movie at the theatre. Your kids won't have to complain about being made fun of for their bright orange tyvek suit, either. Getting together with your friends won't mean potential measles exposure, so you can laugh and share the latest gossip over a glass of wine. Of course, you'll have to make new friends, because your old ones will either be too old or no longer around. You could opt to attend or host a measles tea. This is where a bunch of people who don't have the measles get together with someone who is currently contagious with the disease. Now wait. I know what you're thinking: Get infected to avoid getting infected? What idiot would do that? But think about it. Once your child get over the disease, you will more than likely have lifelong immunity. Of course, your son or daughter will have to deal with remaining in quarantine until the course of illness is done to avoid spreading it to others. Then there's the risk of complications to worry about, the most common of which is diarrhea, so have plenty of fluids and a change of underwear on hand. It's probably a good idea to make sure your car is tuned up in case the dehydration is severe or your child suffers pneumonia, as well. And although it's rare, don't disregard the potential to lose your little one to the disease or its complications. With all that in mind, if you don't particularly care for your child and you're willing to take the very real risks of measles and sacrifice your child for your, ahem, "principles", go for it. Just stick to tip #5 above, there, until either your child or the disease wins out, remembering that you're contagious before you start showing symptoms. And even then, hope that they are not the 5-10 in a million that succumb to subacute sclerosing panencephalitis (SSPE). The safest way to protect your child. Supported by all of the science-based medical and research community, the MMR vaccine is the most effective means of preventing measles while still allowing you to have a life. True, it may not be the hippest, most accepted method among the vaccine-refusing types, and you won't be hailed as a rebel, maverick or other self-empowering self-centered term, but at least you'll be keeping your family healthy and safe from a dangerous and highly contagious illness. Since the advent of vaccines, the number of cases in the U.S. dropped precipitously, to the point that the population could no longer sustain transmission of the virus. Two doses of the vaccine are enough to grant over 99% protection. As with all medical interventions, there are, of course, the risk of adverse reactions. The most common are soreness at the injection site, mild rash and fever. As with infection, a high fever may also cause seizures, though after vaccination they typically resolve without any other problems. More serious reactions, such as severe allergic reaction, are exceedingly rare, occurring 500 times less often than death from the disease. All things considered, though, vaccination is what smart, caring parents choose for their kids. Does ebay carry hazmat suits?